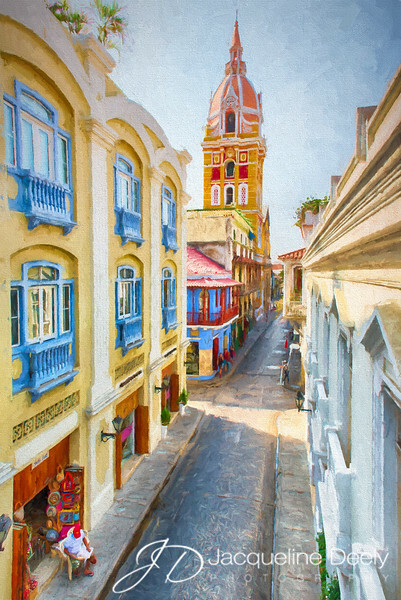 The old walled city of Cartagena was very beautiful and colorful! Most of the time the streets were jammed with people, tourists, horses and carts, taxis, cars and was very noisy! Here was a moment of quiet and empty streets in the early morning as seen from our hotel. There are also many artisans on the streets selling their wares and it seemed appropriate to create a painting out of an HDR image (three exposures blended into one) and transformed using Topaz Labs "Impressions" plug-in for PhotoShop.